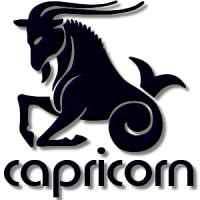 Women, who have birthdates between the 22nd December and the 20th January, will belong to Capricorn. This Zodiac sign is symbolized by the Terrestrial goat or Sea goat. Being ruled by planet Saturn, this is the tenth sign and Earth sign of the Zodiac cycle. How can we recognize a Capricorn woman in reality? Are there any specific traits we may use to detect such an individual? Needless to say, those who are in love with ladies born under this sign will be fond of this, surely! The truth is that it’s fairly hard to depict a Capricorn female. Why? In one’s eyes, she can be very glamorous, but she may turn to be an intelligent scientist in others’ views. No matter what a Capricorn girl is on the outside, all she needs is recognition, respect, position and security. Take time to find more in detail about personality traits of this special woman now! What Does A Capricorn Woman Look Like? She basically displays many impressive and unforgettable features when it comes to the physical appearance, remember! If she practices any physical exercise for keeping herself fit, then she’ll always ensure that she is highly disciplined, and do that with great patience and determination. A Capricorn female is believed to be endowed with natural beauty, which will get better with age. Another positive trait possessed by her is actually a beautiful smile. How Is She In Love? 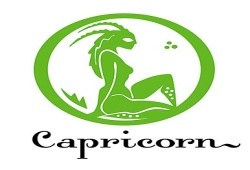 A Capricorn girl is pretty independent and wants to be treated with great respect. She often prefers to be in charge of her surroundings and other things. As a partner, this woman is ready to share responsibilities with us if she feels like the two of us are really equal. She also appreciates the sense of financial stability and security and will express all of her passion and love as soon as feeling secure from the right match in her whole life. What Does She Like As A Friend? 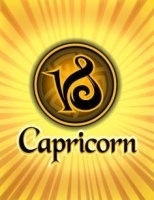 According to astrological report, a Capricorn female is actually a modest person who finds it tough to approach at the beginning of a relationship. Instead, she is apt to be cautious in her behavior. Nonetheless, she is warm, making a friendship with others long-lasting. Age seems not to be a big hinder when it comes to making friends because the tenth-sign women are fairly popular with those of different age groups. Being seen as a loyal and valuable friend, the female is apt to disclose her true story easily to others whenever getting a feeling that they are truly close enough. You’re encouraged to leave your concerns in this contact box here for any nagging questions about topic “Capricorn Female Traits” as we’re glad to support you.